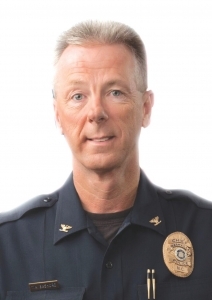 If you’ve been following Policy Watch’s coverage of the opioid crisis, you’ll want to read this week’s guest column from Nashville, NC Police Chief Thomas Bashore in the Wilson Times. Bashore writes about his department’s “Hope Initiative,” which encourages those experiencing addiction to seek treatment through the department without fear of arrest. At the two-year mark, Bashore said the program is helping change the way those with addiction issues view the police and the way the community – and the state – views addiction. “I am often asked ‘how successful is the program?’ This, of course, is a difficult question to answer, but let me try. Of the 320 participants who have come through the program, 271 have detoxed, 155 have been placed into a long-term residential program and eight of those were individuals who were incarcerated and released from jail to attend treatment programs. As we have tracked as many participants as possible, fewer than 60 have returned to use. We have had 192 men and 128 women. We have helped 260 participants with opioid use disorders, 21 alcohol use disorders, nine stimulant use disorders and 30 other substance use disorders. We have raised almost $65,000 from grants, fundraisers and generous donations from citizens and businesses alike. We have a dedicated volunteer base that helps with finding resources, compassionate listening and transportation issues.